This vintage white umbrella stand oozes shabby chic charm, with its aged finish and pretty spiralled design. 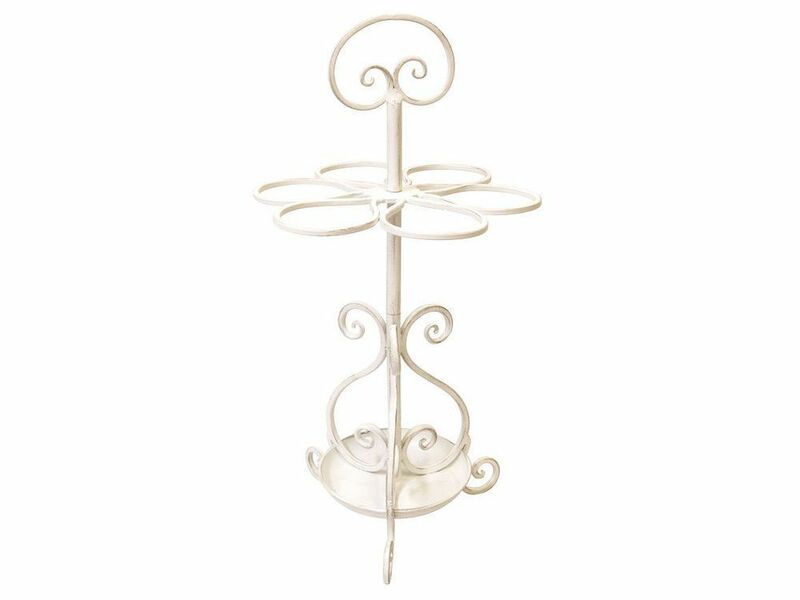 A perfect addition to a country home, this white metal umbrella stand will ensure hallways and entrances stay clear and tidy. This vintage metal umbrella stand has a drip tray at its base and stands atop spiral feet, which pulls the look together to add a finishing touch.